Let’s make this super easy. Basically, diabetes is when your metabolism just doesn’t work the way it’s supposed to. There’s more than one type of diabetes, but in general, it’s characterized by high blood sugar levels. When we eat something, our body breaks down the food into glucose, which is a form of sugar. And when it gets into the bloodstream, our cells use the glucose for energy and growth. But it can’t be used unless there is a hormone called insulin available in the body. A person with diabetes doesn’t make enough insulin or just doesn’t make any insulin at all! 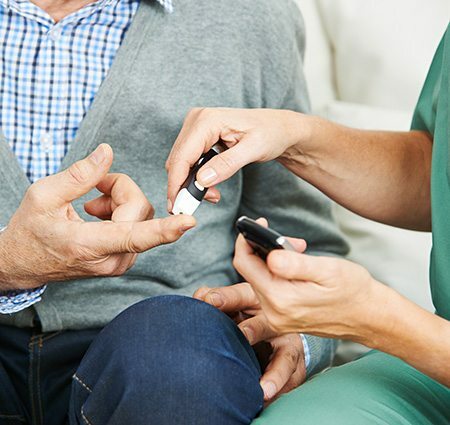 And when the glucose levels in the blood get too high – something called hyperglycemia – the cells don’t get the energy they need to grow or repair. Type 1: This where the body doesn’t produce insulin at all. People with this type need to inject insulin (into their body) for the rest of their life. They also need to follow a special diet and do regular blood tests. About 10% of all diabetics are Type 1 and they usually develop it before they’re 40. Type 2: This is where body doesn’t produce enough insulin or the cells in the body don’t react to insulin, which is called insulin resistance. To manage the symptoms, people need to follow a healthy diet, exercise, keep their weight low and monitor blood sugar levels. About 90% of all diabetics are Type 2. Overweight and/or obese people have a higher risk of being diagnosed with Type 2 diabetes. This is because there is more pressure on their body’s ability to use insulin to properly control blood sugar levels. Gestational: This affects females during pregnancy. When they have high blood sugar levels and can’t produce enough insulin, they can be diagnosed with this type of diabetes. It can be managed with exercise and diet. But if not managed, it can make childbirth more complicated. Anti-inflammatory action! This calms down the inflammation of the arteries found in people with diabetes. Neuroprotective. That sounds like a superpower doesn’t it? And it kind of is. Cannabis can help stop the inflammation of nerves and lessens neuropathy. Anti-spasmodic agents. These sound like villains… except they’re anything but! Cannabis can calm muscle cramps and lessen the pain of gastrointestinal disorders. Vasodilator. Cannabis helps to keep the blood vessels open and improves circulation. Low blood pressure. Over time, cannabis can help to lower blood pressure; vital for diabetics! Calming. Cannabis helps to calm the “restless leg syndrome” which can help diabetics sleep better. 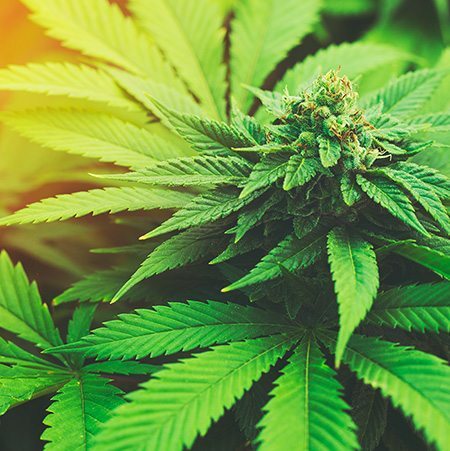 How Can I Use Cannabis? There are many ways to use cannabis. They all have pros and cons. Vaporizing: This method eases pain quickly and slows the nerve damage of neuropathy. Capsules: Use capsules with CBD. This cannabis compound has been found to have neuroprotective qualities, improve glucose tolerance and increase insulin sensitivity for type 1 diabetics. Edibles: If you suffer from “restless leg syndrome,” using an edible can definitely help you get the rest you deserve! Topicals: Some diabetics suffer from neuropathy – which is pain, numbness and tingling of certain parts of the body. Rubbing cream or lotions on the affected areas can help reduce the effects! What Strains Should I Use? Every person is different. But to get a head start, we recommend strains with high levels of CBD or THCV. Strains high in CBD will reduce inflammation without the high associated with cannabis. Strains high in THCV can help regulate blood sugar levels and reduce insulin resistance.